Should You Pay Your Creditors Rather Than File Bankruptcy? Is there an alternative to bankruptcy, my clients often ask. Can I realistically avoid filing bankruptcy? A fellow bankruptcy lawyer outlined what it takes to get out of debt without bankruptcy. use all your savings to pay off debt. If you could do all three, for long enough, and, your debt isn’t too large, it probably works. I want to pose the question: even if that’s possible, is it smart? What do you forgo in that scenario? If it’s travel; lattes; and premium cable that go, I’m OK with that. But, what if the things you do without are emergency reserves; health insurance; and retirement savings? I think that continuing to live on the financial edge is a poor choice. One small glitch, car trouble, ill health, or fewer hours at work, and your fine and honorable plan to pay comes unraveled. Whether your financial difficulty was caused by bad luck or bad choices, don’t make a bad decision, driven by pride, to compound the trouble by living without a safety net. Too many of my clients arrive in my office with the conviction that they incurred this debt and, by damn, they want to repay it. At some level, I applaud that desire. But what are the likely consequences of repaying that debt if it means making no provision for financial stability now and in the future? Have you just traded one sort of bad situation for another? Part of reforming your financial situation involves looking beyond this month’s bills to the needs of the next decade and beyond. Lots of folks got into credit card debt focusing on their ability to make the monthly minimums, rather than on their ultimate ability to pay the debt off. They forget that minimum payments on most credit cards are set to keep you in debt for several decades. Particularly in times of profound economic uncertainty, consider the merits of a fresh start and a make a plan for financial self sufficiency. Possession is 9/10th of the the law, we’ve always been told. With overdue Bank of America credit cards, my client worried that her new deposit at B of A would be seized by the bank to pay the cards. After all, the bank would have possession of the commission check and a common law right to set off the deposit against the credit card debt. Not to worry. There’s a federal law that protects bank accounts from credit card debt. Federal Truth in Lending regulations explicitly prohibit a bank who is a card issuer from appropriating your deposit account to pay your debt on a card it issued. (d)Offsets by card issuer prohibited. (1) A card issuer may not take any action, either before or after termination of credit card privileges, to offset a cardholder‘s indebtedness arising from a consumer credit transaction under the relevant credit card plan against funds of the cardholder held on deposit with the card issuer. 12 CFR 1026.12 goes on to make clear that if the card issuer gets a judgment, this provision doesn’t insulate a deposit account from a judgment levy. Nor does it keep the bank from depleting your account if you’ve agreed to pay the card automatically by electronic transfer. Offset, or setoff, (they seem to be interchangeable terms) means to net out what one party owes another against a debt that runs in the other direction. This principle is a mainstay of common law. So, the Truth in Lending provision creates a statutory exception. At the end of a bankruptcy case, the provisions of the bankruptcy discharge prohibit a creditor from offsetting a pre bankruptcy debt against money the creditor owes you. So, if you discharged a personal loan from Bank of America, say, the bank cannot take your post bankruptcy deposits into your account to pay for the discharged debt. With federal law in mind, my client was able to deposit her check into her bank account, secure in knowing the bank couldn’t apply the money she needed to live on next week to pay overdue bank-issued cards. And her bankruptcy case will wipe out the credit card debt altogether. Does Bankruptcy Discharge A Judgment In California? Nothing gets a person into a bankruptcy lawyer’s office quicker than being served with a lawsuit. The prospect of losing a lawsuit and having a judgment entered against them terrifies. Callers are frantic to see if they can file bankruptcy before judgment is entered. They worry that once a judgment is entered, their options in bankruptcy vanish. The debt underlying a California judgment remains just as dischargeable as it was before the case was filed. And, a judgment in California does not automatically become a lien on the defendant’s property. It takes another step in California for a money judgment to become a lien. And as long as there is no lien, the debt is unsecured and potentially dischargeable in bankruptcy. Contrary to what some dishonest debt collectors will tell you, judgments are just as dischargeable in bankruptcy as the underlying debt is. Whether an unsecured debt can be discharged in bankruptcy looks at the nature of the debt, not whether a court has ruled on the merits of the claim. Child support is non dischargeable, whether or not there is a judgment. Debts incurred by fraud are non dischargeable in bankruptcy, if the creditor can prove fraud to bankruptcy standards. Credit card debts honestly incurred are dischargeable, judgment or no. What does change the dynamic is an abstract of judgment or a notice of judgment lien. These documents do create a lien on the judgment debtor’s assets. Recording an abstract of judgment creates a lien on real property in the county in which it is filed. A notice of judgment filed with the California Secretary of State creates a judgment lien on personal property located in the state. If the lien cannot be avoided in bankruptcy, the judgment creditor has obtained an advantage. What my friend Jay Fleischman’s post about civil judgments in New York and their bankruptcy implications points out is the way state law impacts the operation of federal bankruptcy law. The rights that each party in a bankruptcy case brings to the bankruptcy case originate in state law. 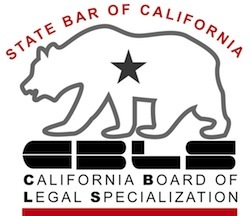 It also demonstrates why lawyers are licensed in each state and why my California law license does not entitle me to practice bankruptcy law in New York. And why bankruptcy is not a do-it-yourself project. Image in the public domain, courtesy of Wikimedia. Don’t tidy up your financial affairs before consulting a bankruptcy lawyer. You may waste money or lose bankruptcy options when you make last minute changes to your situation. You’ll have the widest set of options for a fresh start if your lawyer sees the situation as it is today. What looks to you like complexity and disorder may look to your bankruptcy lawyer as opportunity and advantage. My heart sinks when a new client tells me that they’ve just paid off the loan their parents made them before seeing me. Or borrowed against their retirement to fund debt management. Or paid off the taxes so that all the remaining debt is credit cards. I was playing in my head with a piece I was writing for consumers about the bankruptcy decision. I caught myself thinking about “whether the bankruptcy was caused by mortgage debt or ….” . And I hauled myself to a halt. How did the words “bankruptcy” and “cause” get linked in my head? In my head, for Pete’s sake? Bankruptcy is not caused by insolvency, it’s a cure for insolvency. Debt in excess of assets, particularly liquid assets, causes insolvency. The real question should be: how did the debts arise? The trite explanation for debt is irresponsible spending and lack of financial self control. Not in my experiences of the past two decades. Instead, financial distress most often comes from job loss; ill health; divorce; and multigenerational family issues. Add to that, the ridiculous cost of housing where I practice in the Bay Area. Too many folks subscribed to the idea that home ownership is an essential to be really middle class. If inability to pay your debts is the disease, bankruptcy is the remedy. The question for families is whether they avail themselves of a freely available, legal remedy for that situation. Or, do they continuing treading water with respect to their debts until there is a further crisis. So, for purposes of the blog I was constructing, the correct construction juxtaposes whether the financial distress was caused by mortgage debt or some other cause. My message is that bankruptcy is as much a beginning as an end. It ends the distress of being financially incapable. It is the beginning of an opportunity to realign spending, to move beyond the misfortunes of the past, and to address the challenges of the present and the future. Families need cash reserves; they need retirement savings. Families with children need to save for college if they are to escape a further round of incapacitating debt. My mantra becomes: clear thinking and emotional courage cause bankruptcy. And the debtor is better for it. Workers making close to the California minimum wage got additional protection from wage garnishments under a change in the law effective in 2013. With the annual increases in the state minimum wage, in 2019 California law now protects an employee’s weekly net wages up to 40 times the state minimum wage, currently $11 to $12 per hour. The prior formula limiting a judgment creditor to 25% of a debtor’s after tax wages remains. The amended law caps a wage garnishment at the lesser of the two calculations. A judgment creditor isn’t absolutely entitled to the amount figured under these formulas, however. If the judgment being collected is for a debt other than support, a judgment debtor can seek a reduction in the amount of the garnishment from each paycheck to the extent necessary for his support. CCP 706.051. The only run of the mill creditor who can garnish your wages is a creditor who has already sued you and won a judgment. That judgment entitles the creditor to levy bank accounts and garnish wages for 10 years or until the judgment is paid in full. More about judgments. The judgment accrues interest at 10% simple interest per year. 1. Can you meet your current living expenses on the money left after a garnishment? 2. Is this judgment just one part of a bigger debt problem? The dangers of doing nothing are greater than just the other bills that don’t get paid while your wages are garnished. Too often, the reduction in available cash puts your car or housing payments in jeopardy. And, it probably pays a debt that is dischargeable in bankruptcy, as most unsecured debts are, while non dischargeable debts like taxes, student loans or child support go unpaid. Here are some ideas on who to pay with the money remaining. See an experienced bankruptcy lawyer. You want to know two things. Does bankruptcy make sense in light of the bigger picture of your income and expenses? A bankruptcy will stop a wage garnishment. And, you may be able to recover the money taken from your check from the creditor as a preference. If bankruptcy is an appropriate response, there is no point in paying the judgment creditor for another pay period. Pick up the phone and get some advice. Do California Seniors Need to File Bankruptcy? California, it turns out, is a great place to retire. Not because of the cost of living, certainly. In spite of the cost of living. Because California exemptions are very generous to those of retirement age. Those exemptions effectively make many indebted seniors collection-proof. Exemption laws come from the idea that, even if you owe money to creditors, a certain level of income and assets are protected from collection. If you earn a wage, California law caps the amount of your wages that can be garnished at 25% of your after tax paycheck. Pension income cannot be levied, before or after it’s paid to a retiree. It’s not hard to see that a California senior with home and retirement income might have nothing that a creditor with a judgment could reach. That doesn’t mean that creditors will stop trying to collect. They can bug a retiree, using shame, fear, and annoyance to get them to voluntarily pay a debt they owe. But there may be no way for the creditor to compel payment of its claim at the present. So, one of my tests for do you need to file bankruptcy looks at whether bankruptcy would allow you to keep something that you might otherwise lose to a creditor who gets a judgment against you. If the answer is yes, bankruptcy may be appropriate. If the answer is no, it may be different. If that creditor-with-a-judgment can’t tap your bank account or intercept your pension check, functionally, bankruptcy doesn’t make your situation any better. You’re safe from your creditors. But life isn’t all about money. Peace of mind has a value not measured in dollars and cents. For some seniors, the fact that they owe money they can’t pay is a source of stress. Even when they know that the pushy, threatening collector can’t take anything from them, they lose sleep and emotional security. Bankruptcy might have a benefit to those stressed out seniors, not because it’s necessary to preserve their assets, but because it’s necessary to for their peace of mind. Lots of elders are intent on leaving something financial to their heirs. I hear it repeatedly from those getting along in age: they want to leave their home to their kids. They want to keep paying on a life insurance policy, even though no one is dependent on them for their care. They are stretching themselves financially to give some value to their heirs. Here’s where bankruptcy makes it possible to leave an inheritance to the next generation. The exemptions that are available in bankruptcy are not available to a probate estate. Probate will protect the homestead if there is a surviving spouse. No surviving spouse who needs the home to live in, and the home may be sold to pay the elder’s debts before anything goes to the offspring. Most revocable trusts direct the successor trustee to pay the debts of the person who has passed away before distributing the trust estate to the beneficiaries. Neither probate nor revocable trusts make it possible to avoid judgment liens that attach to homes. Bankruptcy does. So, by eliminating debts and perhaps liens as well, a senior intent on leaving a financial legacy to their survivors maximizes their gift by wiping out their debts during their life time. Not a bad thing, perhaps. Image courtesy of Ed Yourdon and Flickr.